When you and your Realtor® wrote your purchase offer for a home, you most likely made your offer contingent on several items, including financing, a home inspection and an appraisal. If your loan is locked in and your prospective home passed its inspection with ease, then you’ve only got one challenge left: the appraisal. Mortgage lenders require an appraisal on your home before they’ll provide a loan for the simple reason that the property is the underlying asset that serves as collateral for the loan. If for some reason you run into financial difficulties and lose your home to foreclosure, your lender would need to sell the property to repay the loan. A lender will only approve a loan for a property that appraises for the full sales price of the home — or more. Your lender will choose an appraiser to evaluate your home and you’ll pay the appraiser’s fee, typically $300 or $400. New rules by the Consumer Financial Protection Bureau that went into effect in January require your lender to give you a copy of your appraisal as soon as the mortgage company receives it, or at least three days before your closing. You can waive that right, but it makes sense for you to see it so you have time to review it and understand the information your lender is using to determine how much to lend. An appraisal is based on information that’s similar to the information Realtors® use for a comparative market analysis, including the specifics of your house such as square feet, number of bedrooms, number of bathrooms, the location and age of the property and interior improvements. These facts about your home will be compared to other homes that the appraiser considers comparable to come up with your home value. 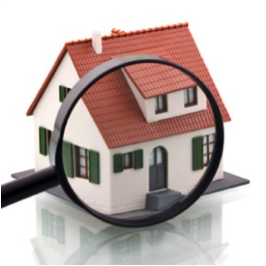 You and your Realtor® should review the report to see which homes were chosen for comparison purposes, and to make sure the appraisal includes accurate information and takes into account intangible things that can add value to a home, such as location within a sought-after school district or near a transportation hub. It’s important to recognize that an appraisal isn’t meant to derail your real estate deal. In fact, it can function as a consumer protection for a buyer. If your appraisal comes in higher than the price you’re paying for the home, then you benefit immediately because you’ll have more home equity in the property than you thought. For example, if you’re paying $200,000 for a home and the appraiser says it’s worth $225,000, you instantly have gained $25,000 in equity. If the appraisal comes in lower than the sales price, you and the seller will need to abide by the contract you and your Realtors® have negotiated. If your contract is contingent on an appraisal, one option you have is to withdraw your offer and have your earnest money deposit returned. 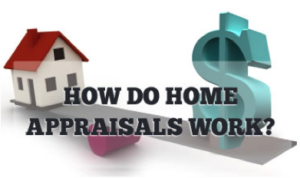 The appraisal has saved you from paying too much for the home. Your Realtor® can advise you about the appraisal process and help you decide how to handle a low appraisal to match your interests.